Thanks for getting back with that. It's worth a try. After all, experimentation is what gives us innovations. asmcelhinney wrote: Does anyone have any tips for filling little windows? When I built mine, I light blocked the interior then drilled out the windows and used some wide angle white LED's to make everything glow. I'm not a pro builder like others here, but I've had good results drilling the windows and filling with simple white glue. It diffuses the light nicely. "Did you say mattress? I did ask you not to,...now I have to get into the fish tank and sing." I second the white PVA Glue. It dries a milky clear and catches/diffuses the internal light a treat. One option I have used before is a little out of the box approach. 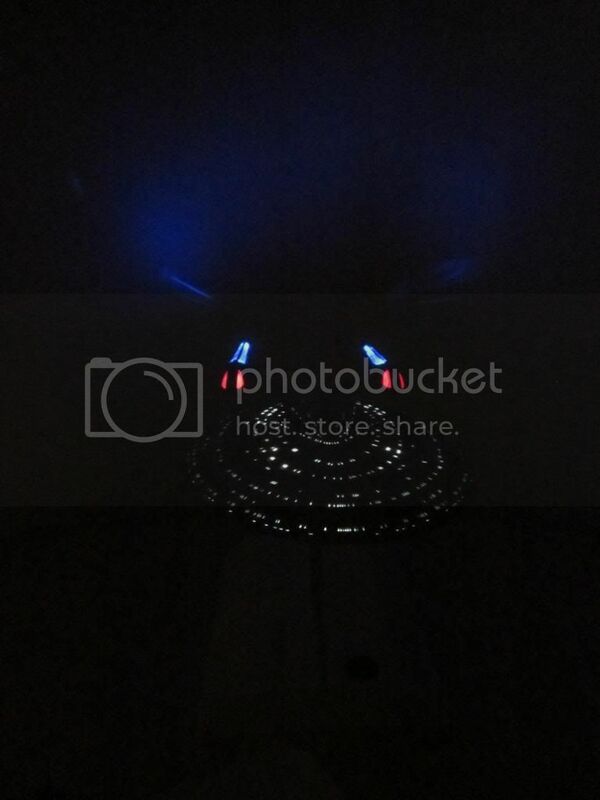 I use UV/fluorescent paint on the windows mixed with LED lighting on engines and such. 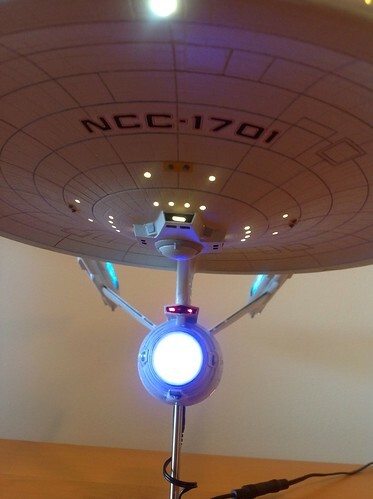 The UV light lights up the windows very well and the hull gets nice starlight illumination as well. 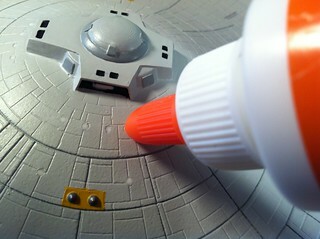 I am currently using this technique on my Zvezda ISD where the superstructure buildup would make drilling for fiber optic problematic.